First introduced in 1932 the McCormick-Deering Farmall F12 Tractor was one of the most successful and well known general purpose and row-crop tractor of it's period. The rear wheel hubs were adjustable by sliding them along the splined axle to alter the track width. Rear independent brakes were fitted allowing the F12 to turn virtually in it's own length. The price of the F12 in 1936 on steel wheels was £185 and £225 fitted with rubber tyres. 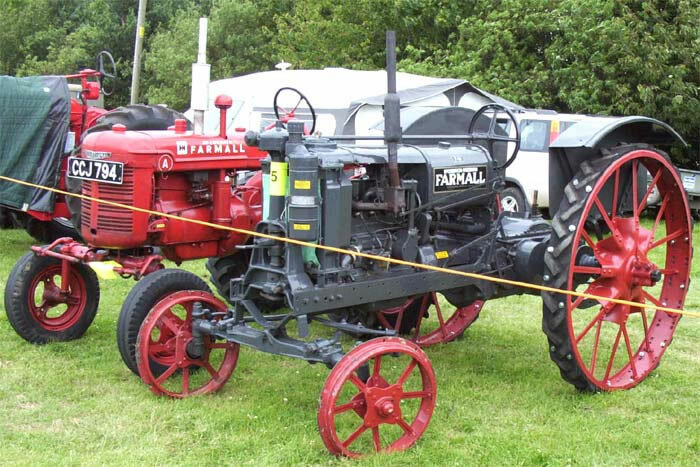 TheMcCormick-Deering Farmall F12 tractor was very popular in the United Kingdom and by the time production ceased in 1938 over 420,460 units had been built.